AUSTIN, TX, May 16, 2017 – CognitiveScale, a provider of industry-specific machine intelligence software, today announced the addition of Dr. Joydeep Ghosh as the company’s first Chief Scientific Officer. An internationally recognized authority on machine learning, data-web mining and related artificial intelligence (AI) approaches, Dr. Ghosh joins the team with more than 30 years of experience applying these technologies to complex real-world problems. 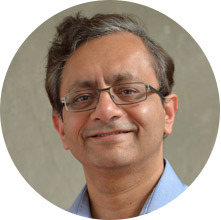 As CognitiveScale’s Chief Scientific Officer, Dr. Ghosh will focus on aligning and tightly integrating the company’s Cognitive Cloud software with industry-specific data models and the latest algorithmic sciences efforts; recruiting the best and the brightest minds in AI while supporting those already at CognitiveScale; and educating the market about the power and value of augmented intelligence and enterprise-grade AI. Dr. Ghosh’s research appears in more than 400 peer-reviewed papers that have been cited more than 20,000 times to-date, in addition to more than 50 book chapters and 20 co-edited books. His works have received 16 best paper awards to date. Dr. Ghosh has chaired top data mining and machine learning conferences such as ACM-KDD and the SIAM International Conference on Data Mining, and often keynotes such conferences. Dr. Ghosh was elevated to an Institute of Electrical and Electronics Engineers (IEEE) Fellow in 2004 for his extensive work on robust AI-driven solutions that synergistically integrate multiple types of learning systems to address complex problems. Subsequently, he received the Technical Achievement Award (2015), the highest research award given by the IEEE Computer Society, among a host of other distinctions. While assuming the Chief Scientific Officer role at CognitiveScale, Dr. Ghosh will continue to serve as the Schlumberger Centennial Chair Professor of Electrical and Computer Engineering at the University of Texas (UT), Austin, where he is also affiliated with the McCombs School of Business, Department of Computer Sciences and Biomedical Engineering. Dr. Ghosh is the founder-director of IDEAL (Intelligent Data Exploration and Analysis Lab), established at UT in 1991 as the Lab for Artificial Neural Systems. After more than two decades in academia his passion for research and teaching is as strong as ever. Dr. Ghosh was voted “Best Professor” in the Software Engineering Executive Education Program at UT. He has graduated 35 PhDs to date, two of whom were chief scientists at companies acquired by Google. Many others hold key R&D positions in industry or are tenured faculty members in top Computer Science departments. For more information about Dr. Ghosh and other members of the CognitiveScale executive leadership team, as well as information about the company’s industry-specific AI solutions, please visit https://www.cognitivescale.com/.